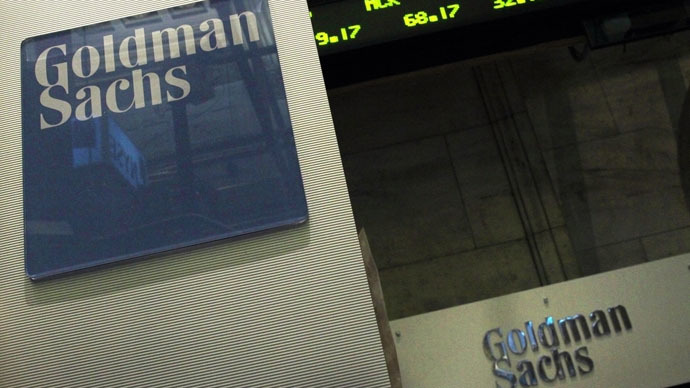 Goldman Sachs has reached an out of court settlement to pay £1million ($1.5 million) to a former female executive. Some of the banks top management were accused of sexually discriminating against her for being pregnant and then having a child. Sonia Pereiro-Mendez, who was the bank’s analyst on the distressed credit desk, claims she was cheated out of millions of pounds in bonuses and subjected to sexist comments over her pregnancy. She added she was “publicly mocked” and subjected to “gratuitous and implicitly derogatory references to her childcare arrangements,” FT reports. The mother of two children saw her annual income cut from £250,000 ($373,00) to £192,000 ($286,000), after she informed her employer about her first pregnancy in 2011. Four years ago, the plaintiff received a bonus of £200,000 ($298,000), but she believes the amount due should have been £910,000 ($1.35 million), which is five percent of the profits she brought to Goldman Sachs. Pereiro-Mendez claimed her salary and bonuses were cut, as her superiors believed she would not be able to make a career and bring benefits to the bank having given birth to children. Pereiro-Mendez said she secretly recorded these conversations on tape and planned to play them during the court hearings. However, the case never went to trial. Pereiro-Mendez withdrew her claims just before her case was about to be heard at the Central London Employment Tribunal on Tuesday. The terms of the deal between the bank and Pereiro-Mendez were not disclosed. However, the Daily Telegraph reveals the payout could exceed £1 million ($1.5 million). Goldman Sachs denied all the accusations from its former employee. "We are pleased that this issue has been resolved," the bank said in a statement.